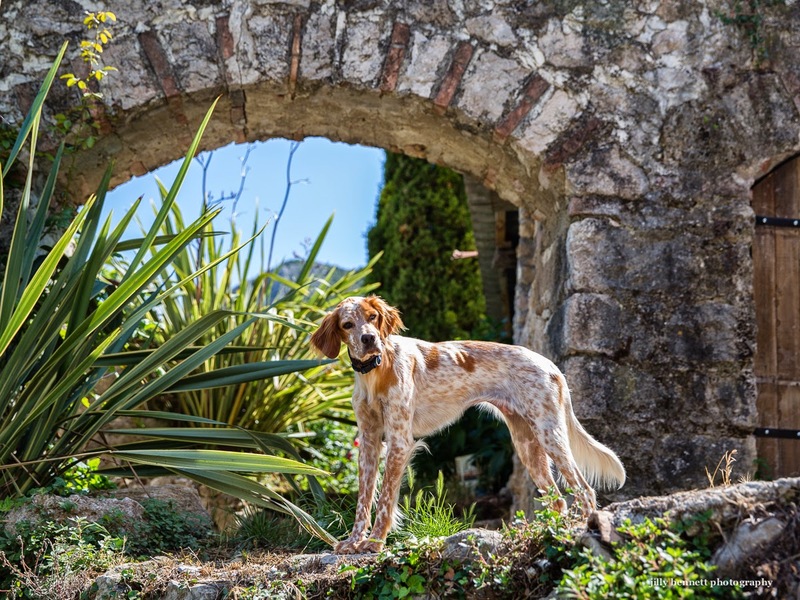 This lovely dog patrols the land around the old mill in Gorbio. I don't know her name. She looks to be a setter perhaps or mix between a Brittany Spaniel and a setter?